I know I'm a little late - it was Tulip Day in Sweden on the 15 January and it was also National Tulip Day in Holland on the 18 January. It is the official beginning of the tulip season in both countries and the season last till the end of April. 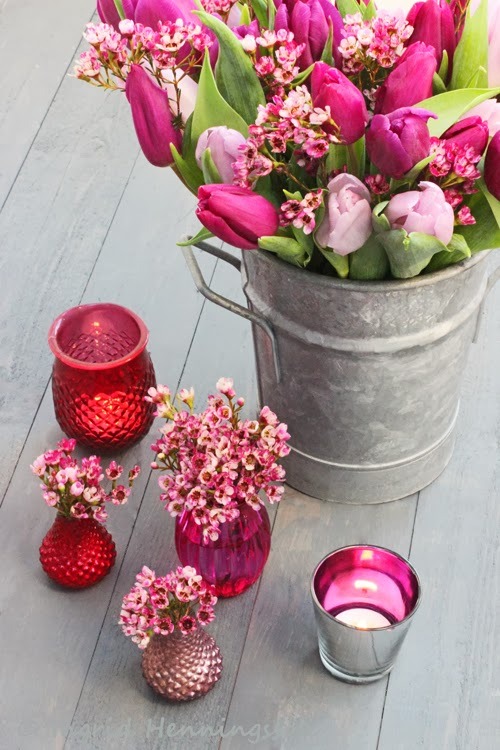 I love tulips and any day is tulip day for me!! I love fringed tulips, parrot tulips, single tulips, double tulips, lily flowered tulips, multi coloured tulips - almost any will do and I'm a happy bunny! I was excited when Titti and I decided that our theme for this our next instalment of FLOWERS by ingrid and titti - was going to be Tulips. In the first arrangement I have used two different coloured tulips - one very pale pink and the other an almost fuchsia coloured tulip. The container is an old zink florist flower bucket that I normally use when I condition my flowers - but I liked the neutral grey against all the pink. I couldn't believe my luck when I was out looking for tulips I also found some waxflowers that picked up the two pink tulip colours. I used some of the waxflowers in the large arrangement and I also made three small arrangements in three mini vases. I added a couple of votive candle holders - it is still winter so some candle light is always nice at this time of year. In the other arrangement I have used the same pale pink tulips but this time mixed them with some white tulips - for a very pale pastel look. The vase I used is an Art Deco 1930's pale green vase with a handle - that makes it look like a jug but it is not - it would never pour very well. The pink and white fabric is by the Swedish designer Lotta Jansdotter - now based in Brooklyn, New York. A little light green mini glass vase picks up the green. Here is a link to HWIT BLOG - so you can go and have a look at Titti's lovely floral arrangements. 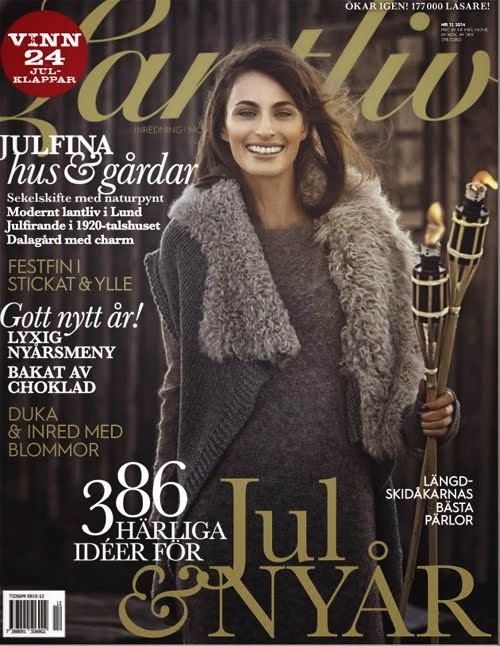 FLOWERS by ingrid and titti - Christmas. FLOWERS by ingrid and titti - White Flowers for New Years. Beautifully done, Ingrid, and oh my goodness, the colors are so wonderful. I especially love the second image here. Happy day to you! xo. I was just over at Titti's blog, and didn't want to miss what you'd be sharing today. 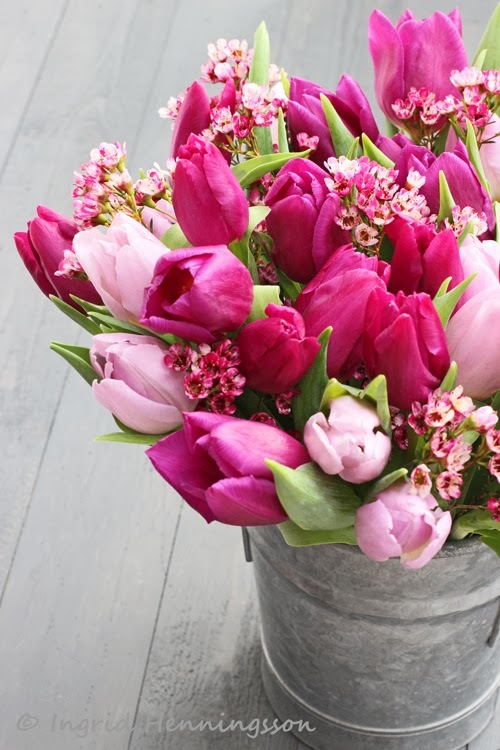 Gorgeous, gorgeous tulips... I think your first photograph/arrangement is my favorite of all the beauties you've shared today. Such a lovely mix of color! Always so very inspirational to visit you! Hoppas ni har bättre väder i England än vi här i Sverige, blåst o snöstorm! 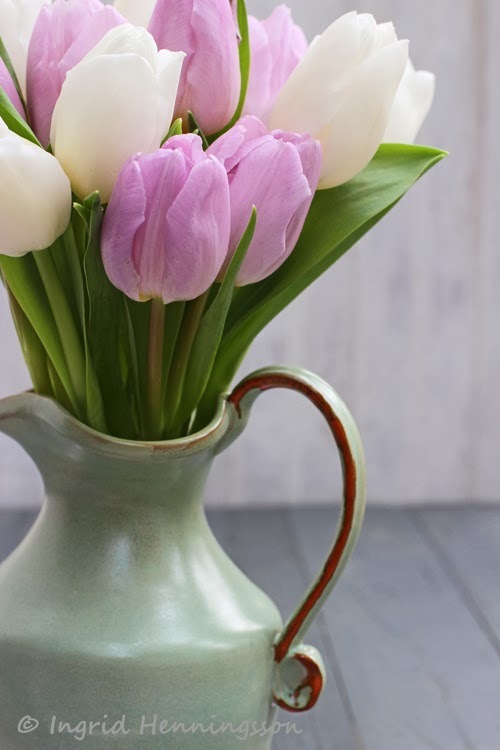 Ingrid, your tulip arrangements are so lovely. 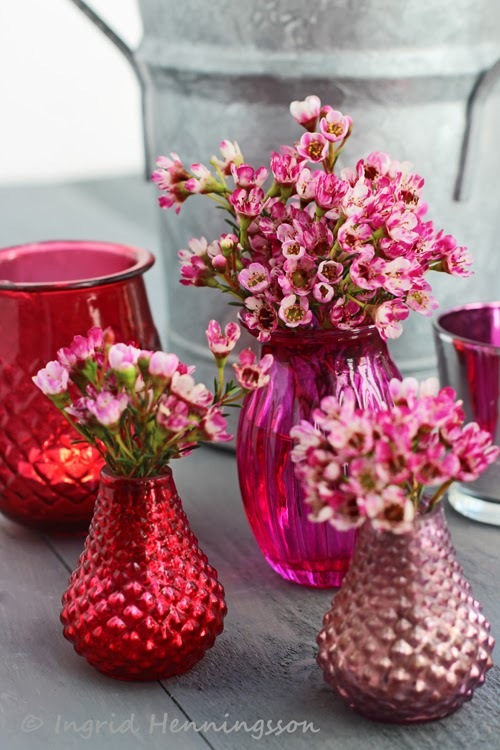 I love the combination of the waxflowers and tulips. J'aime beaucoup l'arrangement floral des premières photos. Les couleurs sont très gaies. How beautiful! 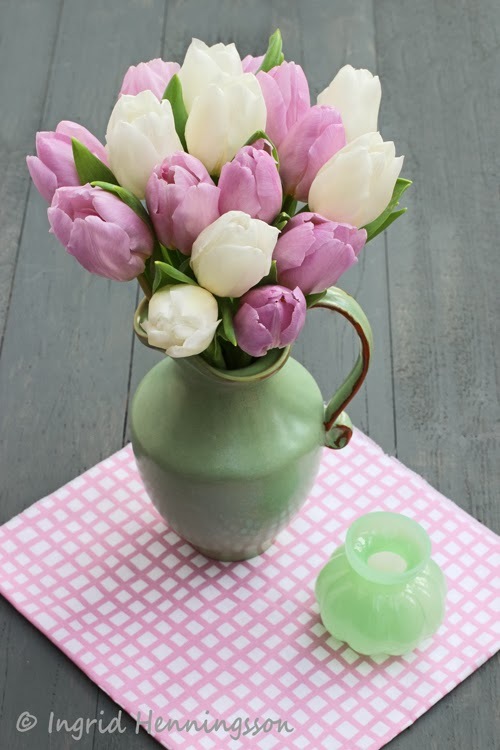 I just love the waxflowers with the tulips in the first arrangement, but it's the pale green and pink in the second that really took my breath away.Tulips are perfection aren't they? Have a great weekend!